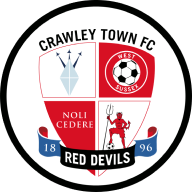 Crawley boss Gabriele Cioffi will be without suspended striker Ibrahim Meite for his side's home game against Lincoln. Meite received a straight red card after stepping off the bench in last week's 6-1 defeat at Crewe, while Cioffi could be tempted to make several other tactical changes. Winger Luke Gambin remains sidelined after missing the last six games due to a hip problem. Midfielder Jimmy Smith, restricted to three appearances this season after sustaining a knee injury in September, remains a long-term absentee. Lincoln's experienced pair Lee Frecklington and Jason Shackell both hope to return to action. Midfielder Frecklington has been sidelined with a groin strain and defender Shackell has recovered from a hamstring problem. Boss Danny Cowley has no new injury or suspension concerns following last week's draw at Mansfield. Midfielder Tom Pett is among those pushing for a recall, but Cowley could name an unchanged starting line-up. 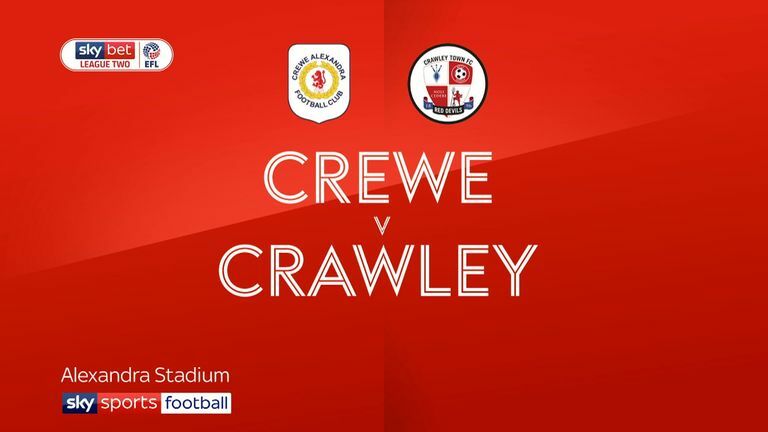 Highlights of the Sky Bet League Two match between Crewe Alexandra and Crawley Town. 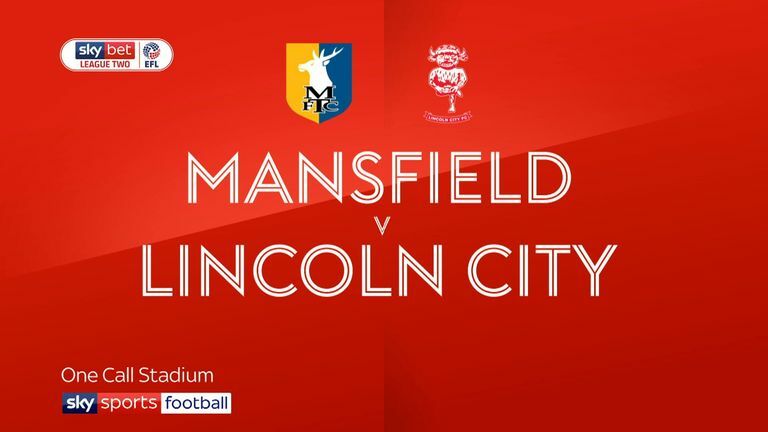 Highlights from the Sky Bet League Two fixture between Mansfield and Lincoln. 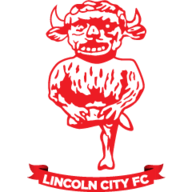 Lincoln's current 15-game unbeaten streak (W7 D8), the longest ongoing such run in League Two, is their best undefeated run of games in the Football League since December 1997 (16 unbeaten). Lewis Young has been directly involved in each of Crawley's last three home goals in League Two (one goal, two assists). Indeed, seven of his eight goal involvements this season have been in home games (one goal, six assists).